I've been wanting to share a baked porridge recipe for some time now so I'm delighted to bring you today's recipe which is for what might just be my current favourite breakfast! 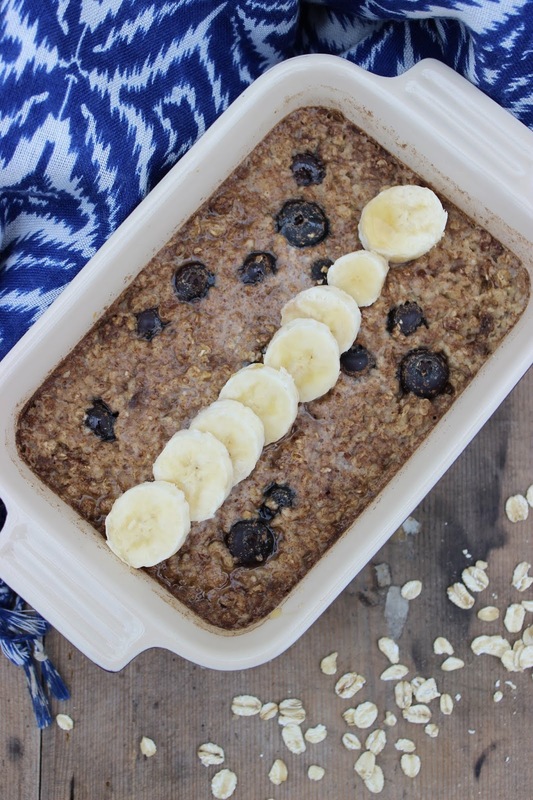 This Baked Banana and Blueberry Porridge really takes breakfast to the next level and is perfect for the colder months. It's warming and comforting, whilst also being surprisingly easy to make- you can mix it all together and pop it in the oven to cook while you get ready in the morning. 2) Mash half of the banana using a fork and set the other half aside. 3) In an ovenproof dish, stir together the oats, almond milk, mashed banana and cinnamon to combine. Carefully fold through the blueberries. 4) Bake for 20 minutes. Allow to cool for a couple of minutes before enjoying (taking care not to burn yourself on the blueberries!). Top with the remaining banana, more blueberries if desired and a drizzle of maple syrup.